Blood Pressure Monitoring Locations - Ardent Solutions, Inc. Monitoring your blood pressure between medical appointments can be a useful tool in managing your blood pressure. Be sure to follow your doctor's recommendations regarding monitoring your blood pressure, and speak with your doctor if you have any concerns about your readings. Blood pressure measurements taken at home should not be used as a replacement for your doctor's regular assessment. Rest 5 minutes before taking your blood pressure. Don’t smoke or drink caffeinated beverages for at least 30 minutes before. Take your blood pressure before (not after) you eat. Sit comfortably with your back supported and both feet on the floor (don’t cross your legs). Elevate your arm to heart level on a table or a desk. Use the proper sized cuff. It should fit smoothly and snugly around your bare upper arm. There should be enough room to slip a fingertip under the cuff. The bottom edge of the cuff should be 1 inch above the crease of the elbow. Ideally, take 3 measurements at one sitting and record the average. Write down your blood pressure and take your recording to each medical appointment. Blood Pressure is recorded as numbers called your systolic number (upper number) and your diastolic number (lower number). Your diastolic blood pressure measures the pressure of blood in the blood vessels when the heart is relaxed between beats. It is the “bottom number” in a blood pressure reading. For example, if your blood pressure is 140 over 90 or 140/90, the diastolic measurement is 90. Your systolic blood pressure measures the pressure of blood in the blood vessels when the heart beats or squeezes blood into the vessels. It is the “top number” in a blood pressure reading. For example, if your blood pressure is 140 over 90 or 140/90, the systolic measurement is 140. For more information on how to manage your high blood pressure, visit Million Hearts online and download Team Up. Pressure Down; A Journal To Help You Manage High Blood Pressure. People suspected of having masked hypertension. Public blood pressure machines, such as those found in pharmacies, may provide helpful information about your blood pressure. 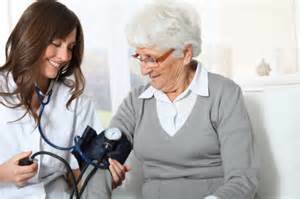 Remember, the accuracy of public blood pressure machines depends on several factors; such as a correct cuff size and proper use of the machines.